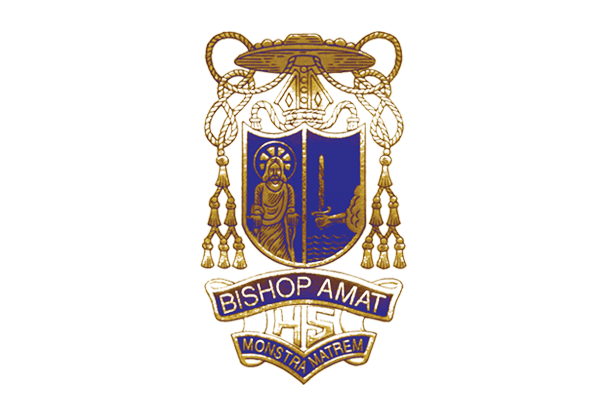 The Bishop Amat wrestling team entered this year’s post season as the 11th ranked team in the state, with a team record of 13-0. The Lancers began the post season on January 26, by competing and repeating as the CIF Team Dual champions. The team dominated their opponents at the CIF Southern Section Division 3 tournament by going 4-0 and defeating Los Alamitos, 64-9, Grand Terrace, 63-16, Ventura, 46-30 and Hillcrest by a score of 45-21. This was the first time in Bishop Amat history of a team winning back to back championships in wrestling. On the following week, the Individual championships began with League finals at Alemany high school. This is the first of three qualifying tournaments for the California State Championship tournament. Of the 14 wrestlers competing, 9 won Mission league championship titles in their respective weight classes and all 14 qualified to advance to the CIF Division championship. Obtaining league titles were Chuy Lopez (113), Christian Nunez (126), Marcos Polanco (132), Adrian Rios (145), Juan Lopez (152), Julian Mares (160), Richard Maruffo (170), Ray Bretado (182), and Romeo Hernandez (195). Last weekend, the Lancer wrestlers travelled to Brea Olinda high school and competed at the CIF Southern Section Southern Divisional championship. Each weight class had 32 wrestlers, all vying for a CIF Individual Division championship and an opportunity to advance to the next State qualifying tournament. The wrestlers battled throughout the two day tournament with 9 Lancers placing and 7 successfully qualifying to the next tournament. Placing at the tournament were Chuy Lopez (4th Place), Christian Nunez (2nd Place), Adrian Rios (3rd Place), Juan Lopez (3rd Place), Julian Mares (6th Place), Richard Maruffo (7th Place), Romeo Hernandez (6th Place) and Guillermo Escobedo (3rd Place). 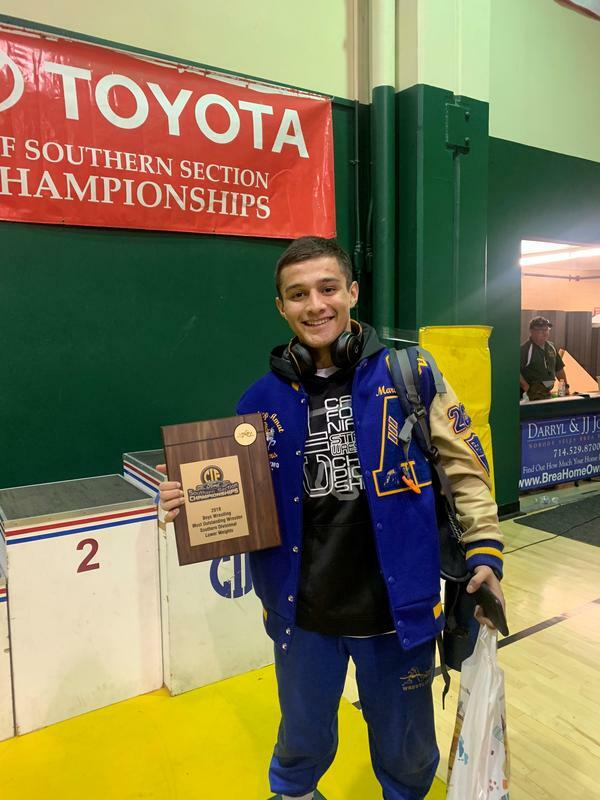 Marcos Polanco also qualified by dominating and pinning all of his opponents, obtaining his second CIF Southern Section Southern Divisional Championship at the 132 pound weight class. Polanco was also named as the Most Outstanding Wrestler in the CIF tournament in the lower weights division for his dominating performance. All of the 7 wrestlers who qualified are expected to perform well and each ranked in the State of California in their respective weight classes. Chuy Lopez #33, Christian Nunez #4, Marcos Polanco #2, Adrian Rios #40, Juan Lopez #17, Romeo Hernandez #40, and Guillermo Escobedo #5. This weekend the 7 Amat wrestlers will be competing at the CIF Southern Section Masters tournament at Cerritos College. The top 9 placers will advance to the State Championships to be held at the Rabobank arena in Bakersfield, California during the week of February 21-23. Good luck to all of our wrestlers on the Road to State!